Today we’re introducing page-level permissions, a new feature that will allow you to control who can view and edit your Google Site on a page by page basis. Using page-level permissions, you can make some pages private for certain users while keeping other pages public for everyone to see. For instance, let’s say you have a Google Site that you’ve shared with your team and your manager. You can allow your team to see one set of pages, let your manager edit another set of pages, and keep yet another set of pages private for only you. Only site owners have the ability to enable this feature, which is turned off by default for new and existing sites. 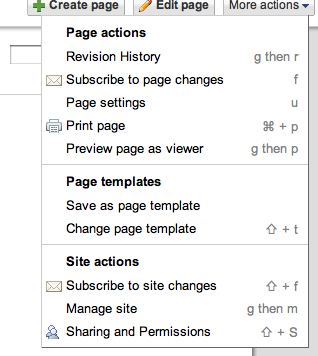 To turn on page-level permissions, go to More Actions > Sharing and Permissions. 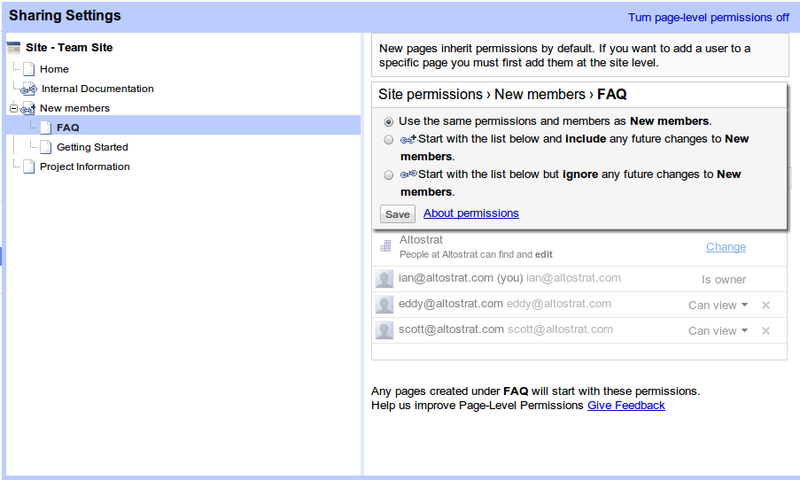 From there, click Enable page-level permissions. Then, in the dialog box, click Turn on page-level permissions. 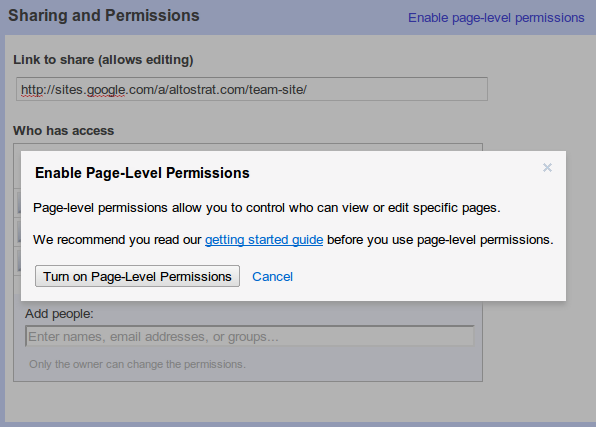 Using page-level permissions should give you greater control over who can edit and access your Google site. To learn more about setting page-level permissions, take a look at our getting started guide. Let us know what you think in our support forums. Jup that is very nice. How about make sites look better? I can't even center a horizontal menu bar. Nice possibility, but I can't find it in my GoogleApps for Education-site. I am owner, but the menu is not like it shold be as above. Can you explain this? This is very nice! Thank you!!! Yes I agree with HaDeRuijter. My more actions menu does not look like that. This is a feature my non-profit NEEDS badly! I have this feature available in my public account. However, the Google Apps account in Education does not have the same feature. Will this feature be added to the Education sector soon? Why not provide a commenting level of permissions? I understand and appreciate the ability to fully collaborate and in some instances that's grand. Still, there are many situations when the ability to add, edit and delete pages is problematic and confusing. 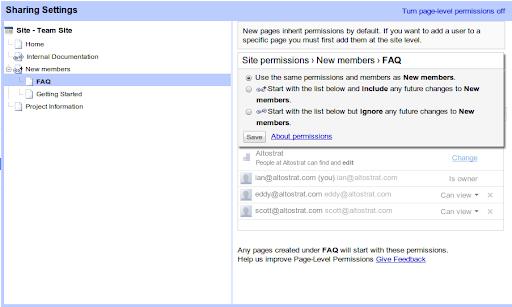 Are there any articles from Google explaining the philosophy regarding permissions and Google sites?